Trying (and failing) to stave off the dreaded Freshman Fifteen, or the nightmare of the Sophomore 20? Tired of the same old treadmill routine everyday? 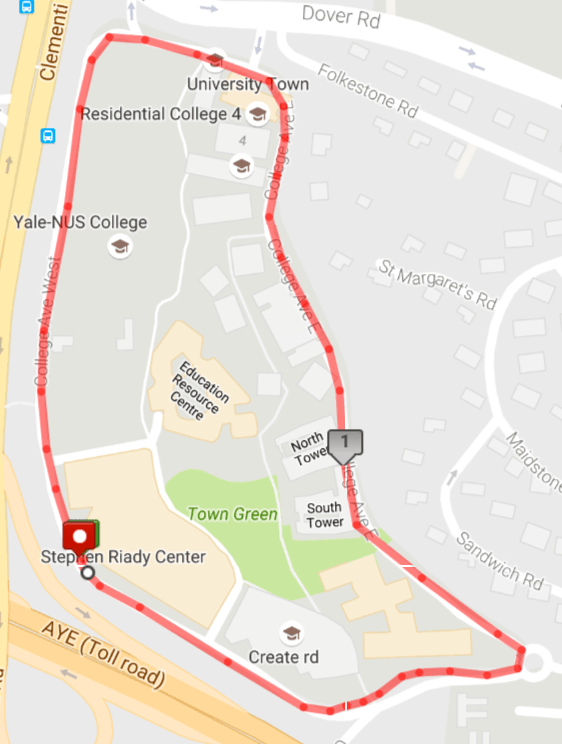 Thankfully, we have some awesome running routes around our college. 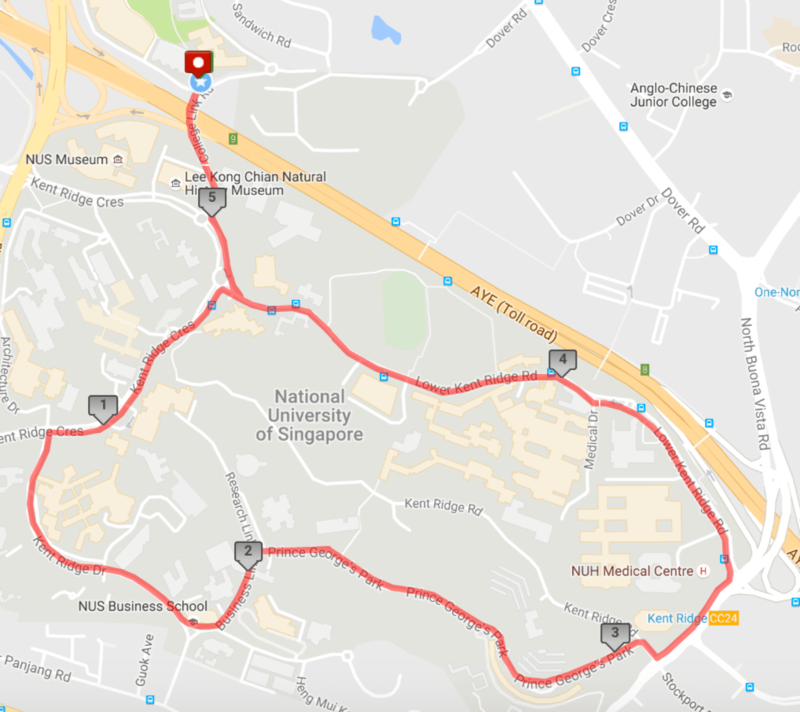 Lace up your shoes, get some running buddies, and explore NUS with these great routes together! 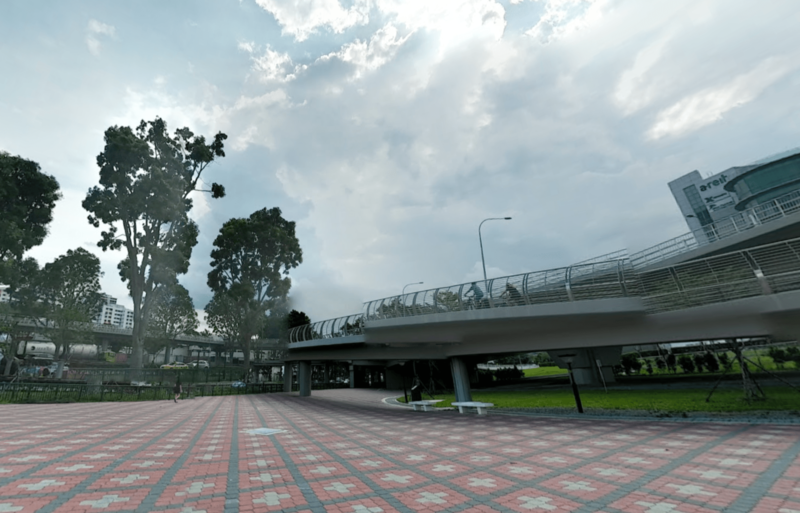 Introducing the Singapore Polytechnic track! 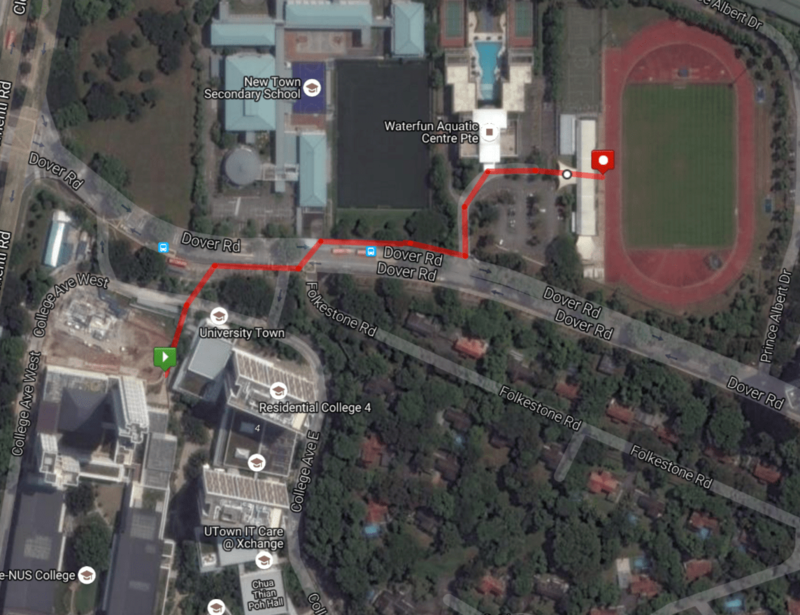 It is just a short five-minutes walk away from our College; comparatively nearer than the NUS track. 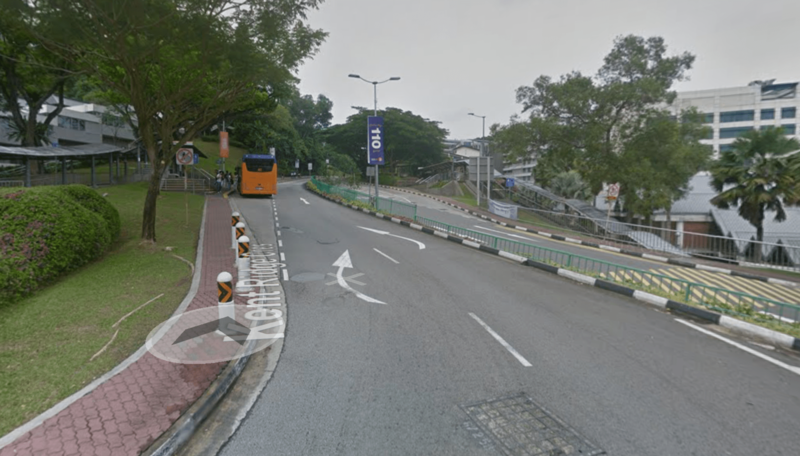 To get there, walk out from the Cendana gate (good job on leaving campus, by the way), and cross the road to the bus stop next to New Town Secondary School. 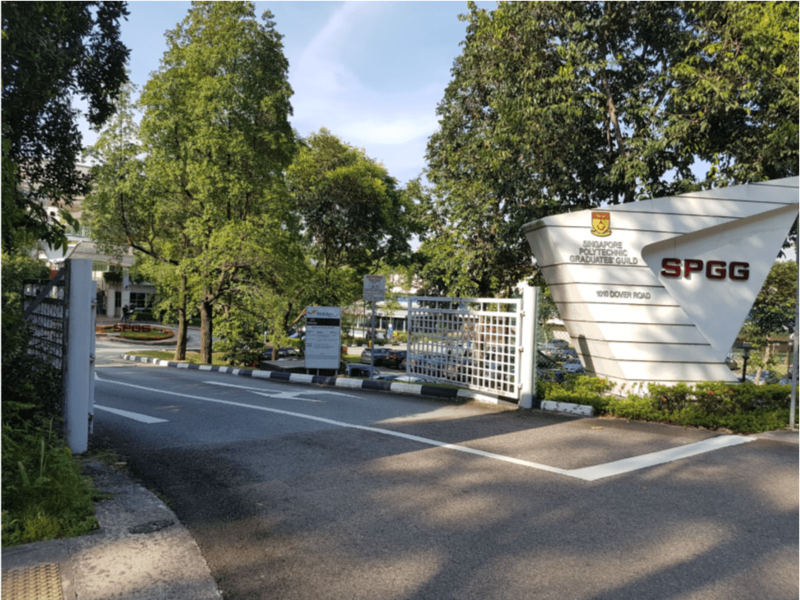 Walk even further and the Singapore Polytechnic Graduates’ Guild (SPGG) will materialise. Walk through the gates, and in just a few steps ahead, behold the running track. …and to the carpark. Beyond that is the track! The track is open from 7am-7pm on Mondays to Sundays but it is closed from 9am to 3pm on Saturdays and 12pm to 5pm on Sundays due to archery training (I’d choose the gym over being impaled by an arrow any day). It’s great for intervals, sprints, or short-distance runs. It will be monotonous, laps never ending, definitely boring. But from how I see it, this is still a better alternative to the treadmill. It’s only 1.8 km, so how tough can this be? You lace up and look forward to the easiest run of your life. Except it isn’t. 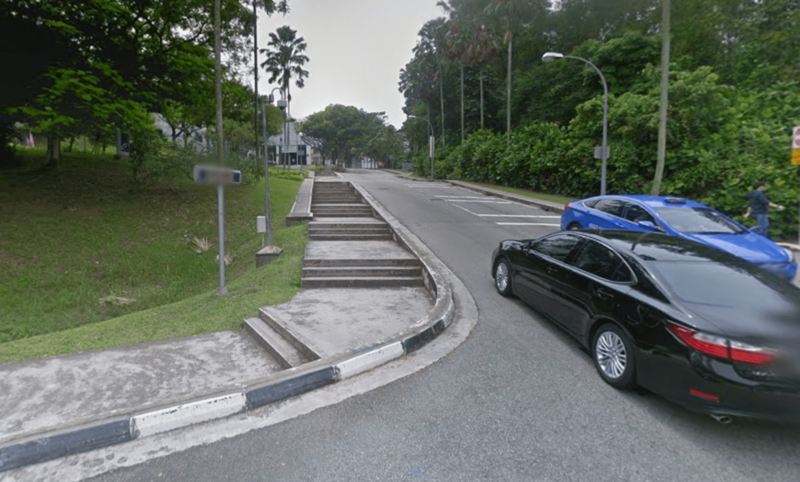 Because right at the start is a slope that goes up past Yale-NUS College that stretches on for hundreds of meters, that doesn’t seem to end. And by the time you conquer that you’re already breathless, limited and wanting. But things gets better. You turn the bend and can start recovering from here. Past Residential College 4 (RC4), College of Alice and Peter Tan (CAPT), Cinnamon College then Tembusu, you’ll hit the halfway point and before you know it the CREATE Tower is in sight. Hit the downslope and you’ll be at the Stephen Riady Centre in no time, back to where you started. Not too bad for 10 minutes of effort. Now you can congratulate yourself for finishing the same route as the IFG Road Relay team! As you speed down a downslope, you’re rewarded with a nice view of flora and fauna! Cross the road at the zebra crossing just before the roundabout. As always, watch out for traffic! This route begins on Dover Road, with a very gradual uphill, the sort that makes you feel tired and you may start to doubt yourself for no reason but really, it’s just the uphill. You pass by a few Junior Colleges and Secondary Schools and running past you can give yourself a pat on the back for making it thus far in academia (good job, you). From there the delusion ends, you turn right down North Buona Vista Road, and up an overhead bridge and back to NUS. And such is the reality of University. From there it’s a vicious 2 km back to U-Town, with 2 significant uphills and legs screaming for you to stop. Up the overhead bridge and back to NUS! 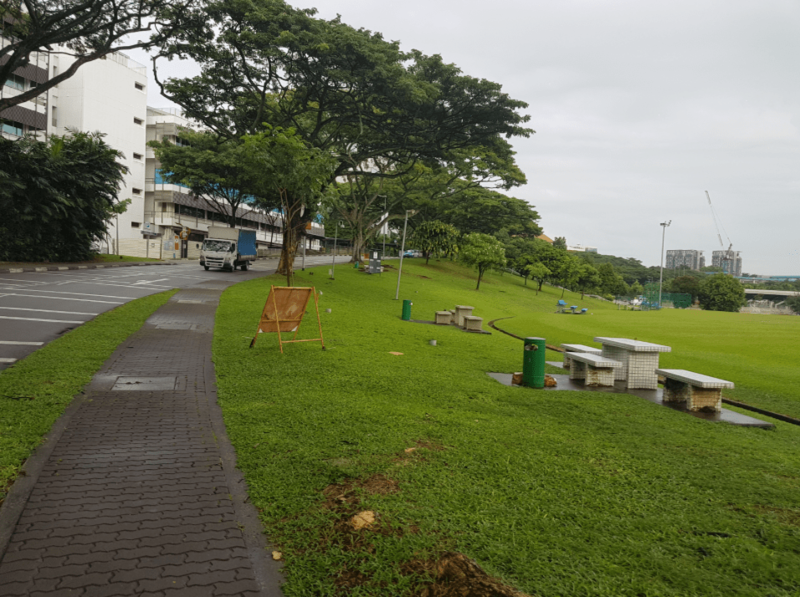 The grass is definitely greener on the other side (School of Science to the left, Sports and Recreation Centre (SRC) to the right). However, even as you stare at the long slope ahead of you, you won’t stop. Because you, heroic runner, have endured a world of pain in this metaphorical journey down various educational institutions; you can’t stop, won’t stop now! ‘So this is what the rest of NUS looks like’ will be your first thought as you get out of U-Town, and in all probability they will be your last. I say this because there are more hills on this route than I would feel comfortable to disclose. You will be panting faster than you can say “Kent Ridge”. This route is infested with ridges, hills, slopes, call them what you want. Up to Central Library is a hill; up to the Faculty of Arts and Social Science (FASS) is another hill; then past NUS Business School you’ll get to Business Link then to Prince George park (PGP), all pockmarked with hills; and then from PGP to National University Hospital (NUH), the longest hill yet. 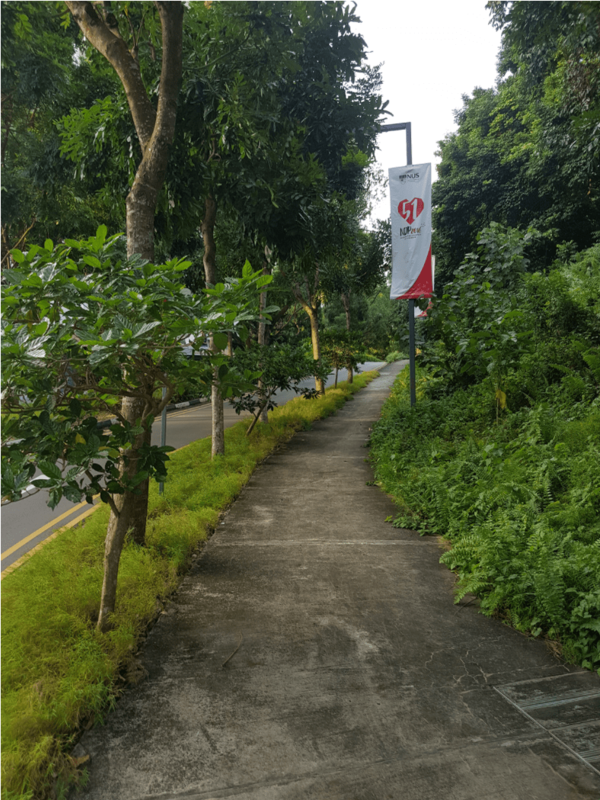 And then from National University Hospital (NUH) you’ll struggle back to U-Town through two more hills, passing the School of Dentistry and the School of Science on your way. The word “hills” has never been used more in a single paragraph. And yet. You’ll have to try it for yourself to see how this really feels like. The road up to CLB! Up past Business Link and towards Prince George Park. The longest hill past PGP Residences (good luck with this one). Views: Irrelevant, focus on your breathing. 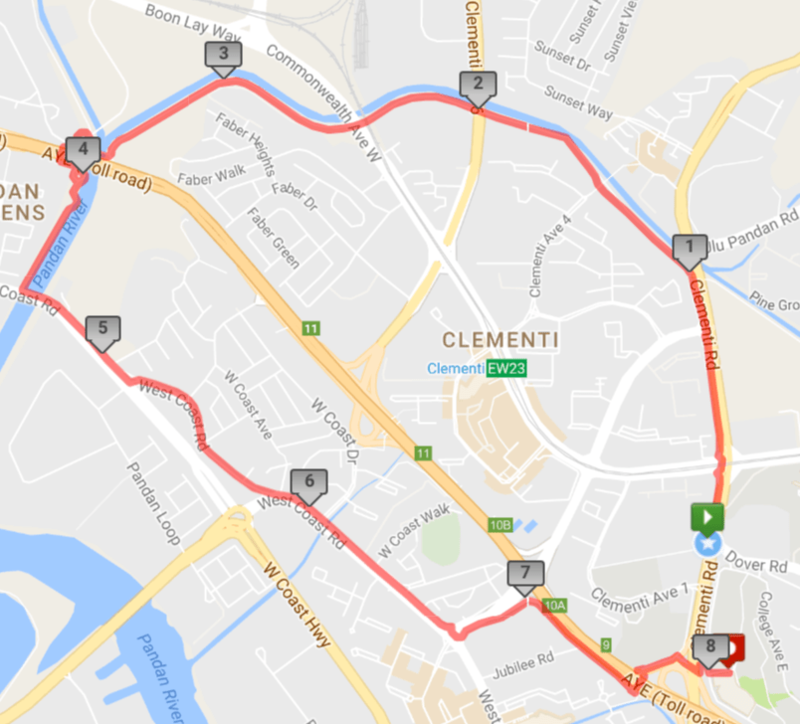 First you run up Clementi road accumulating exhaust fumes and dust into your precious lungs. And after that initial stretch of horror is your reward. 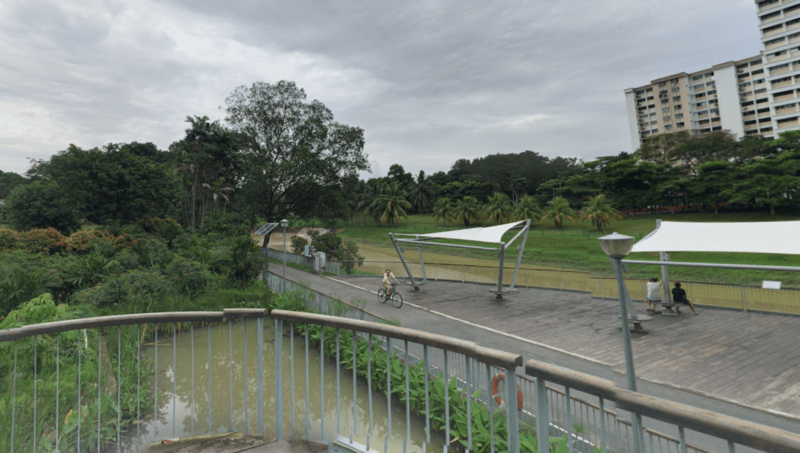 3.5 km of sheer park connector awaits, greenery on both sides, running water of the Pandan River to the right. Your faith in a brighter future is restored. You feel at once a peace well up from within, you want to sing but your wounded lungs politely decline the offer. And then you arrive at a majestic bridge that has a sloped loop instead of stairs, and you go round and round as if in a dream. But the dream does not last long; your legs soon run out of park connector. West Coast Road arrives and the next 3 km will be tough. Cars rush past, you try to avoid people. Smells of food waft from Ayer Rajah Food Centre and Market. The lush greenery and flowing waters are a relic of the past. 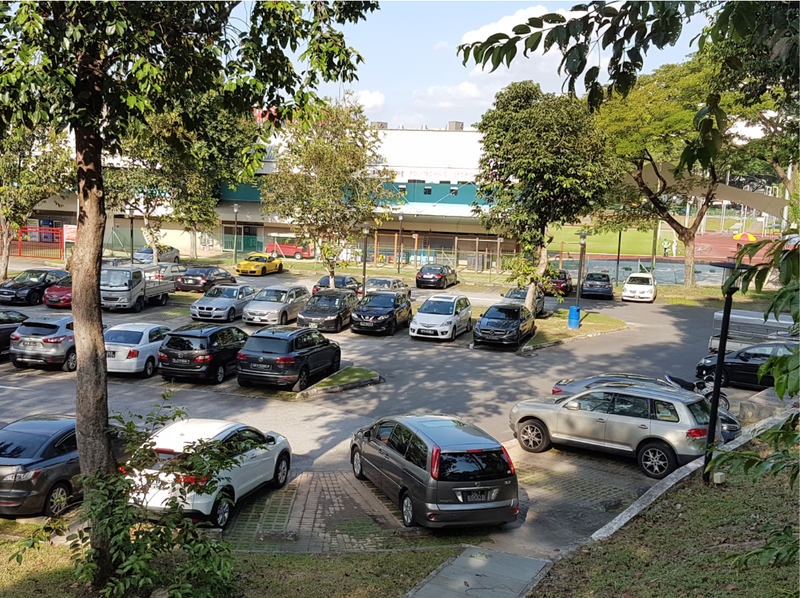 Clementi rears its true self, the compact residential estate teeming with life and sounds. West Coast Road, with its supper places and residential estates. 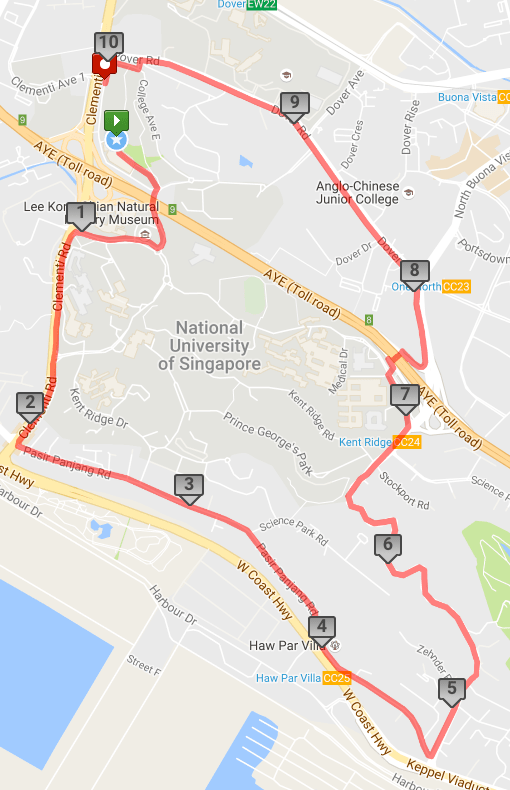 And that is where you’ll finish the run, in the noisiest section of the route, right beside the Ayer Rajah Expressway (AYE). From there you take a walk across the overhead bridge and back to U-Town, feeling nothing yet everything. 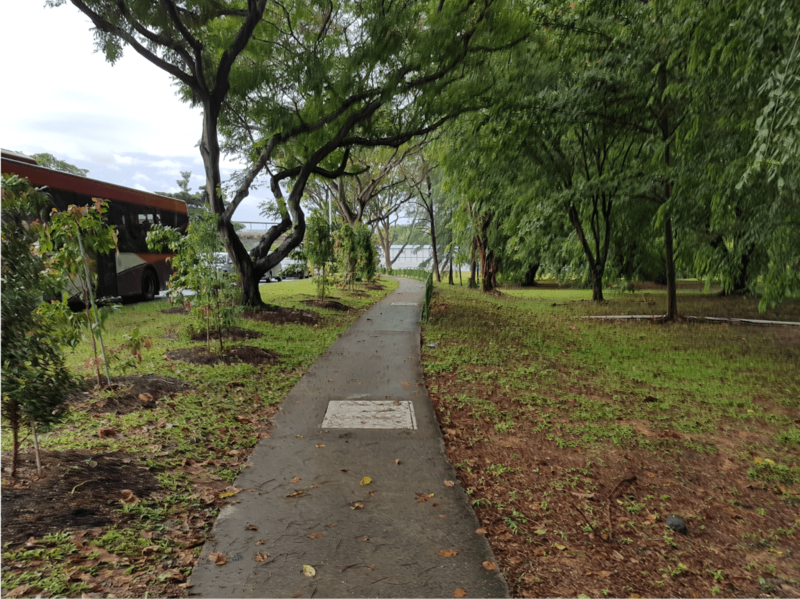 This path runs along AYE and leads back to school. For the serious runner types, anything below 10 km simply does not count as a long run (this is not meant to insult, but to put things into perspective). 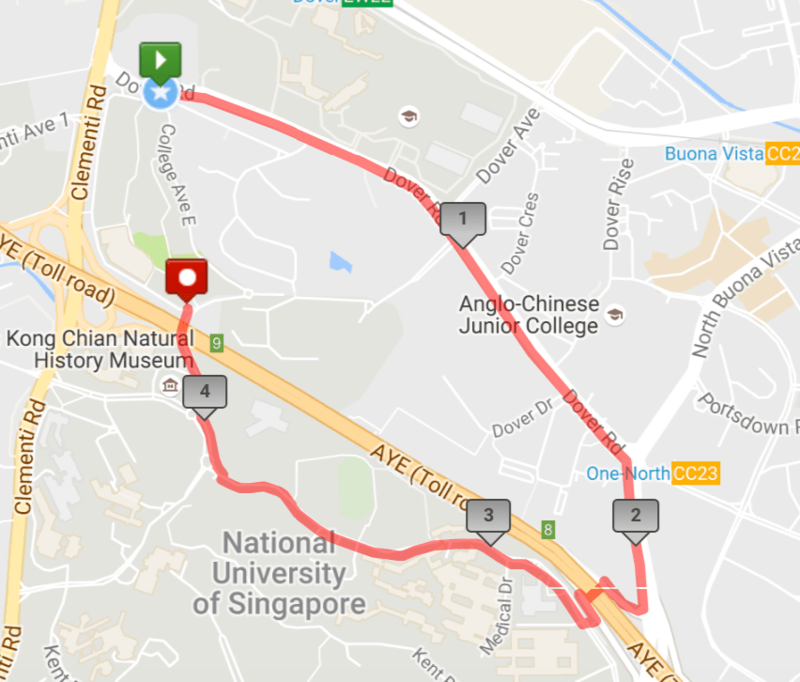 This route takes you out of U-Town, out of NUS, and then past Al Amaans, our favourite order-in supper place (the use of “our” here is to create emphasis and resonance to prove a point, not to say that everyone in Yale-NUS believes that this is so). 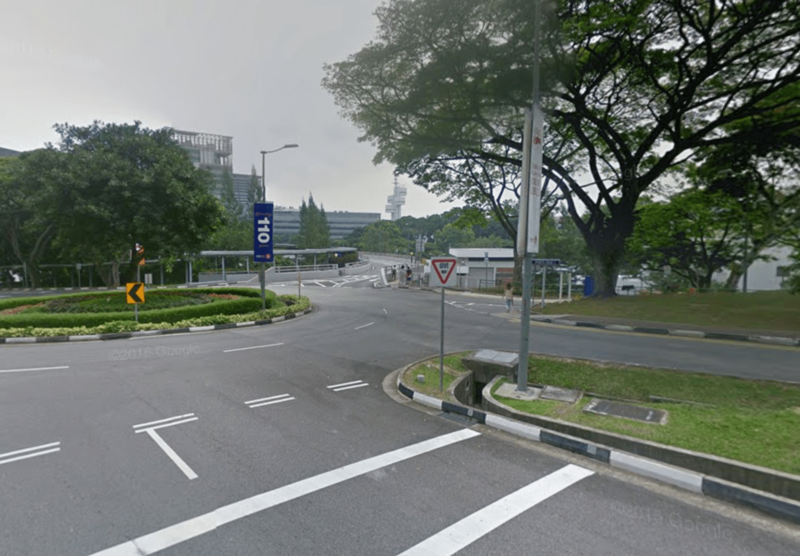 A left turn will take you down the long, straight expanse of Pasir Panjang road, where (much like this semester) you’ll start to wonder if it will ever end. The long and never ending Pasir Panjang Road. The iconic Haw Par Villa lies ahead to answer your queries, and though 4 kilometers have passed the real challenge is still up ahead. 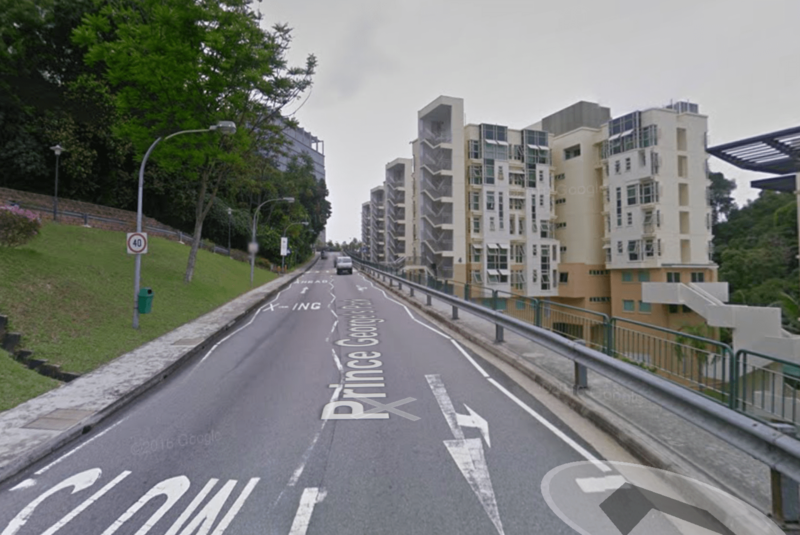 Introducing the uphill and winding inconvenience that is South Buona Vista Road. A character builder of sorts. You’ll start reciting mantras like ‘no pain no gain’ as you trudge up teary eyed. 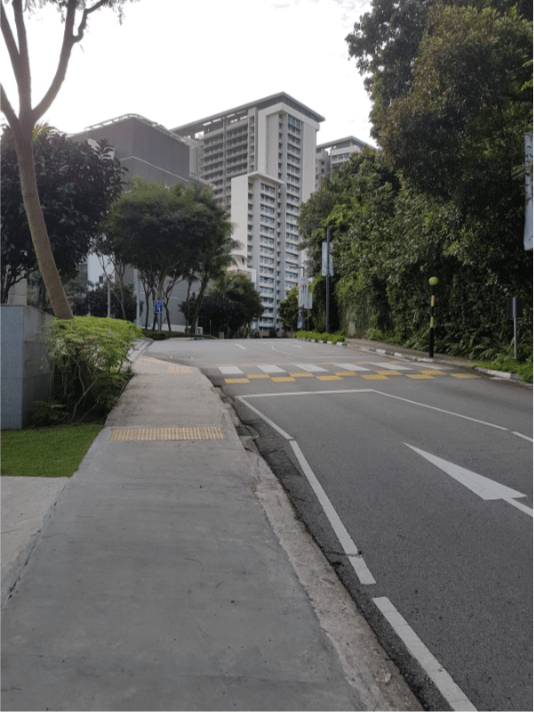 The uphill and winding South Buona Vista Road. The forest clears and you can breathe again. You’ve made it past all the uphills your life should have to take. From there you have a brief sniff of NUH before crossing the overhead bridge and hurtling back down to U-Town via Dover road. And then you finish your run. How did we come up with these routes, you might ask? Well, we just put our running shoes on one day and decided to try something new. And that’s how most of these routes came to be, through sheer abandon and the spirit to explore the unknown (and good memory of course). And though we came up with a handful of routes there are a lot more yet to be discovered, so don’t take every run as a chore or a routine. Sometimes it’s good to just go out there and get lost in a new neighbourhood, in conversations with running buddies, and most importantly, in ourselves.